I’ve been dying to write this post since my 20 week scan on Wednesday but have had so much to do for the blog that I just haven’t had the chance…until now! Being the 20 week scan it meant that we could find out our little bambino’s gender, and the verdict is …me and Pete are having a bouncing baby boy, a little Peter Rabbit! 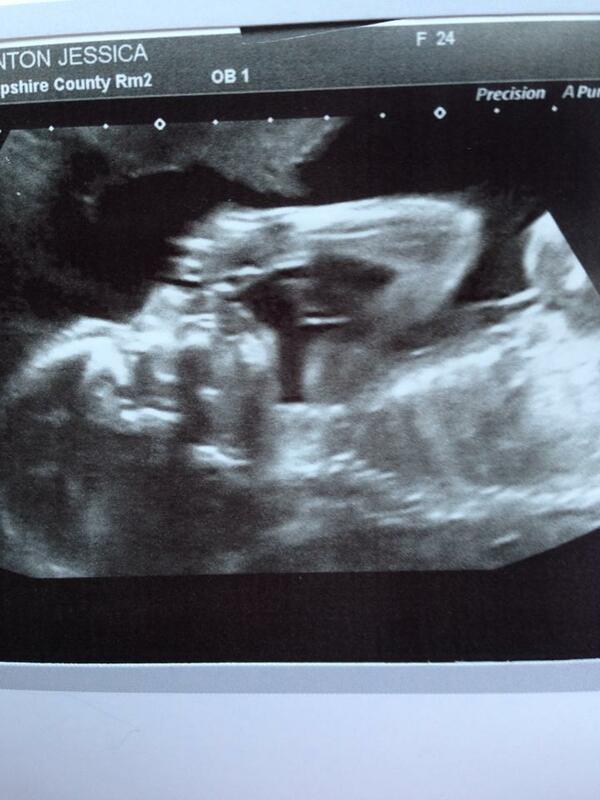 Throughout the whole of my pregnancy EVERYONE (except Pete) predicted I’d be having a girl. I even got caught referring to Rabbit as ‘she’ a few too many times. So when the day of the scan grew closer I didn’t even feel as though I’d be learning something new. In my head, little bump was a girl. To clarify, I wasn’t hoping, I was just expecting, or so I thought! Mum and Dad came with me to the scan as Pete had to work in London. It was great for them as Dad had never seen a scan before and Mum hadn’t seen one since she was pregnant with me, and I’m pretty sure technology has changed A LOT since then! To them this was just amazing, and to be honest it was really sweet to see them getting so overwhelmed by seeing their little grandson wriggling away! When the time came, and we got all the ‘do you want your mum and dad in the room’ awkward formalities out of the way, she muttered the words ‘it’s a boy’. In fact almost proudly, she said that she could tell straight away, and pointed right to where his little winky was! So here’s the thing. I cried, and I wasn’t sure why? It wasn’t relief, I mean, a baby can only be one of two things so we had nothing to worry about there. Maybe if there was a chance we were having a dinosaur I’d have been relieved at hearing ‘it’s a boy’, but no it wasn’t that. It wasn’t disappointment because I’d always said that I didn’t mind what I had first, and I’d even said long before I was pregnant that I’d always love a boy first so that he could look after his little sister or brother. So what was it then? Because at the same time it didn’t feel like an overwhelmingly happy cry. I didn’t feel as excited as I had before and this made me feel just terrible! What if I had subconsciously wanted a girl and I was disappointed at having a boy? What if I now felt like I’d lost that mother daughter bond I didn’t even know I’d formed? What if I actually didn’t like boys as much as girls? Of course none of this was the case, but I felt awful and so frustrated that I couldn’t figure out why my excitement went the minute she said ‘boy’. After some thinking, I realised that I had really loved the surprise of not knowing whether Rabbit was a girl or a boy. 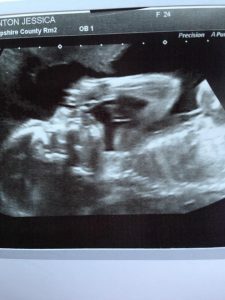 The minute I found out he was a he, it was almost as if the surprise was gone and until the birth when we get to see him, we don’t really have anything else to wonder about. Hallelujah!!! 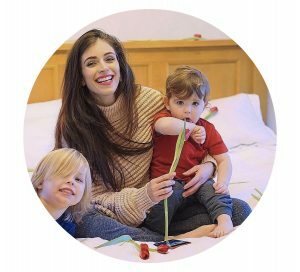 I hadn’t become detached from little Rabbit just because he was a boy, I wasn’t disappointed at not having a girl and I wasn’t a bad mummy to be! I just didn’t have the excitement of not knowing the gender anymore. So after spoiling the little man with a shopping spree, pinteresting loads of new baby boy nursery ideas, and narrowing down some baby names I have so many new things to be excited about! Here he is, little Peter Rabbit, sucking his thumb…or taking a shot of whisky as Pete and my dad seem to think!